Emory Healthcare is the first healthcare system in Georgia to offer patients a cutting edge new implantable cardioverter-defibrillator device, commonly referred to as an ICD, to help correct irregular heart rhythms. ICDs are battery-powered devices placed under the skin to help track a person's heart rate. Normally, thin wires called "leads" are threaded transvenously (through blood vessels) to the heart to detect and treat abnormal heart rhythm. The new device, known as the S-ICD, can defibrillate a person's heart without the use of leads within the heart. Cardiac defibrillation is a way to return an abnormally fast or disorganized heartbeat to normal with an electric shock. The S-ICD system uses a pulse generator capable of delivering shocks to help restore normal heart rhythm. Unlike transvenous ICDs, the S-ICD system is implanted under the skin outside of the left chest and uses an electrode implanted beneath the skin instead of transvenous leads to both sense and deliver therapy. heart without the use of leads within the heart. The S-ICD system has been successfully implanted in both new arrhythmia patients and in patients with prior transvenous ICDs. 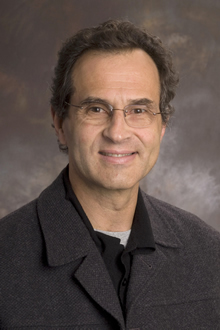 "S-ICD offers an encouraging new option for arrhythmia patients at risk of sudden cardiac arrest that could help reduce the risk of complications often caused by wire leads," says Angel Leon, MD, professor of medicine and the chief of cardiology at Emory University Hospital Midtown. "These leads are often the source of infection, vein injury and other medical complications." Leon and his Emory colleagues participated in a national clinical study of the S-ICD system, before the FDA approved it earlier this year. In the trial, the S-ICD was successfully implanted in 314 patients. The findings supported the efficacy and safety of the S-ICD system for the treatment of life-threatening ventricular arrhythmias. Results of the trial were published in the June 28 edition of Circulation. 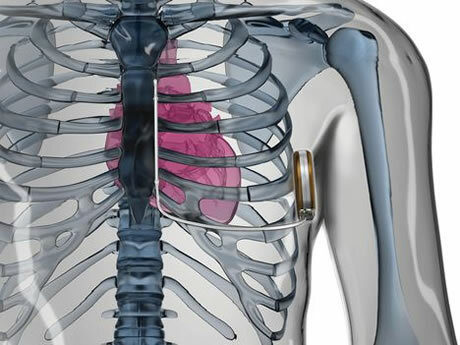 For more information about the S-ICD device, please call Emory Health Connection, 404-778-7777.